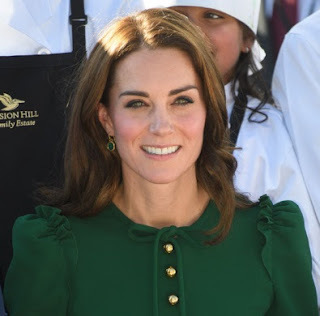 HRH The Duchess of Cambridge, Kate Middleton has been a long fan of Monica Vinader, and I was pleased as punch to see her wearing some stunning green onyx earrings while in Kelowna, British Columbia. The Duke and Duchess are on a weeklong tour of Canada and are the first Royals to visit the city since Prince Charles and Princess Diana 30 years ago. Kate Middleton often wears coloured drop earrings. These drop earrings are a relaxed length and come across as smart but still very fashionable at the same time. These earrings would look more striking if worn with a different coloured dress but the bold colour of the green onyx is matched perfectly well with her dress giving an overall neutral look. The Siren Wire Earrings are simple, sophisticated and ideal for everyday wear. However, they would also look great worn as a wedding guest or to a job interview. These colourful gemstones and organic shape take their inspiration from sea-worn treasures and the glamour of southern Italy. These beauties are £125 and such a great treat with long-term wearability. 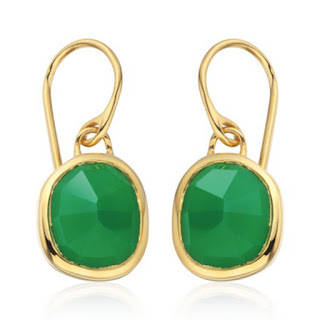 If you're a regular reader of Jewellery curated, I recently posted a Modern Girls Guide to Green Jewellery which features a lovely selection of jewellery with green gemstones such as emeralds, green onyx and peridot if the green onyx is not your thing. 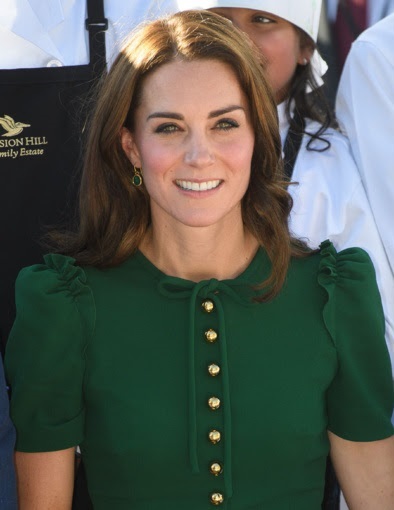 Also if you fancy seeing more of HRH The Duchess of Cambridge, Kate Middleton's jewellery or other celebrity jewellery head on over to our Celebrity Jewellery page.